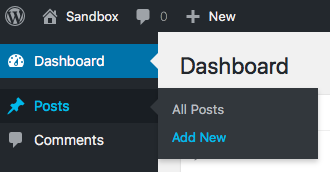 The “Contributors” role is one of 5 default user roles in WordPress, alongside “Subscriber“, “Author“, “Editor” and “Administrator”. Contributors are close to the bottom of the permissions ladder in WordPress. They have very few permissions. This role is designed to allow people to write content for your site, but they do not have permission to publish without approval. Write, edit and delete their own unpublished posts. That’s really about it all Contibutors can do! 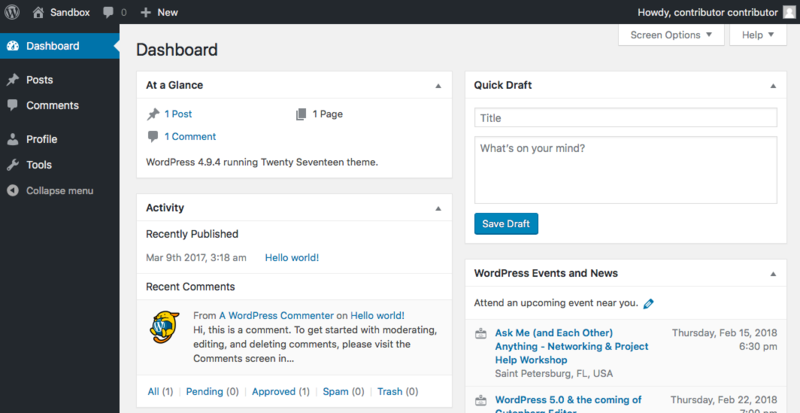 Contributors can log in to the admin area of a WordPress site, and this image shows what they can see. However, quite a few things will be missing when Contributors try to write a post. As you can see in the image below, they do not have access to the “Publish” button. They can only submit posts to the “Submit for Review” status. Also, the link to “Add new Category” is missing because Contributors aren’t allowed to create categories or tags. 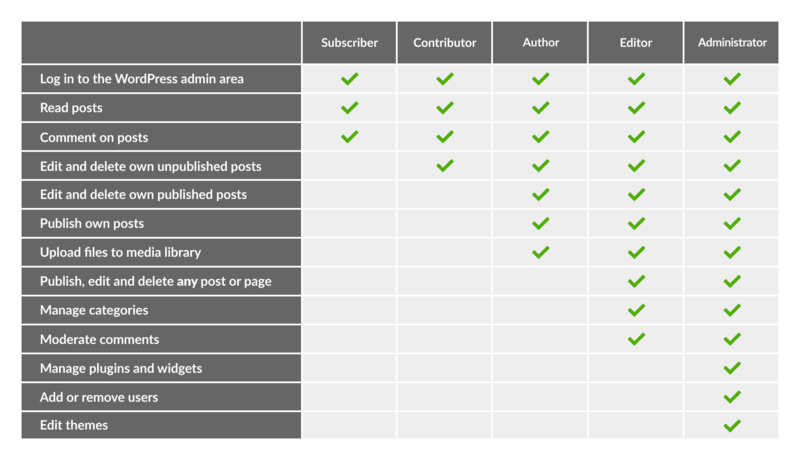 This next image shows a chart taken from the WordPress Explained book which shows how Contributors fit in alongside other WordPress user roles. Can You Change the Contributor Permissions? Yes, you can give the Contributor more permissions than they have with a default WordPress installation. 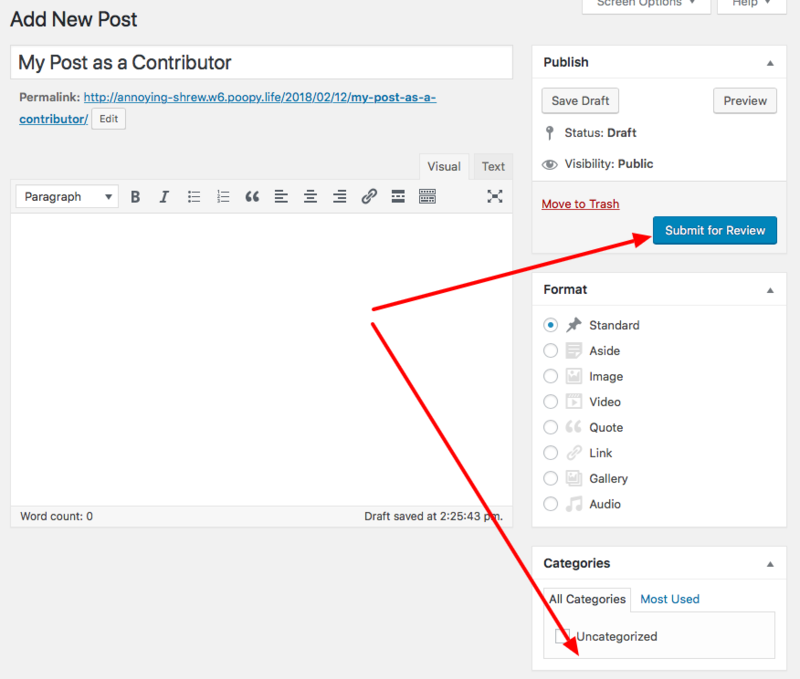 How Does PublishPress Work With Contributors? The key to everything for Contributors is the Permissions Add-on. This allows you to increase the permissions for the Contributors so they are allowed to create content. You can create publishing workflows for Authors, including automatic notifications. You can set up a pre-publishing checklist so Contributors know exactly what to include in each post. Click here to see Contributor permissions for PublishPress screens. I downloaded a plugin last night called ‘Members’ so my contributors could upload images on posts. However, in doing so, my contributors lost the ‘submit for review’ button & now all they have is the ‘save’ button. I tried deleting the plugin but the issue persists! How can i get the button back?